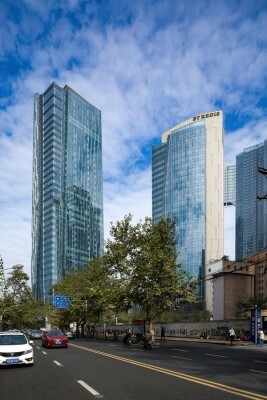 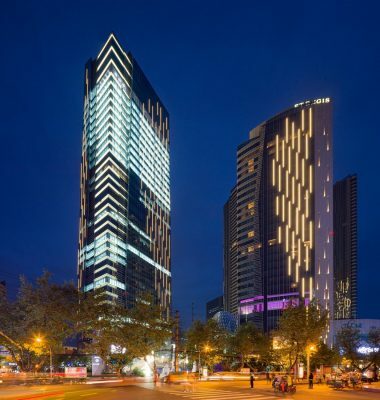 Evergrande Huazhi Plaza is a large scale mixed-use development located at the heart of Chengdu, containing retail, office, residential and hotel elements. 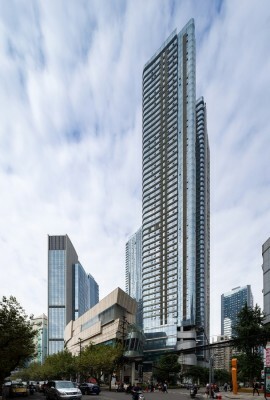 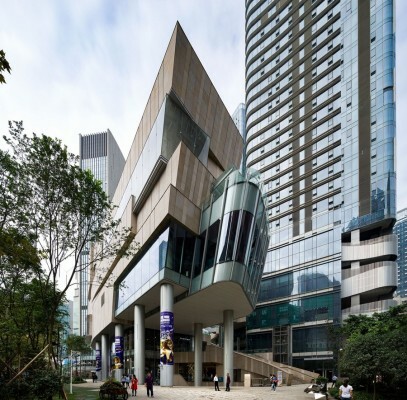 The shopping mall, The ONE, was recently opened while the hotel, operated under The St Regis brand, and the Evergrande Huazhi Office Tower are already in operations. 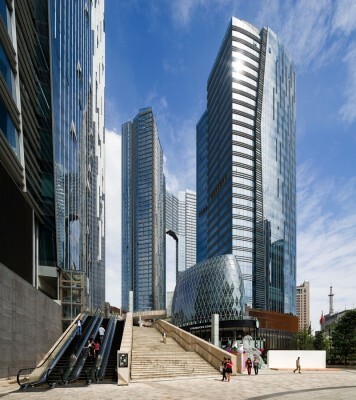 All buildings within the Evergrande Huazhi Plaza reveal elements of the natural landscape of Sichuan. 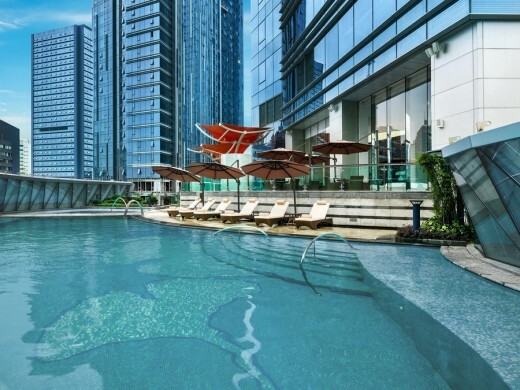 Huanglong, literally ‘yellow dragon’, is a scenic spot in the Sichuan province known for the colourful pools formed by calcite deposits. 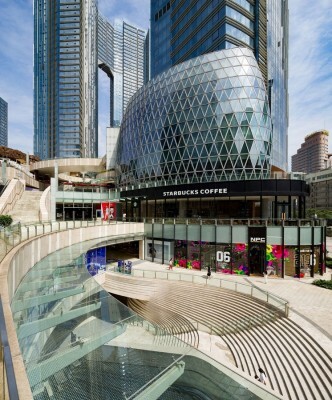 Designed by Aedas, Evergrande Huazhi Plaza drew inspirations from the natural terraced pools to give a regional character to the commercial complex, balance between form and function, and create an urban oasis for the vibrant city centre. 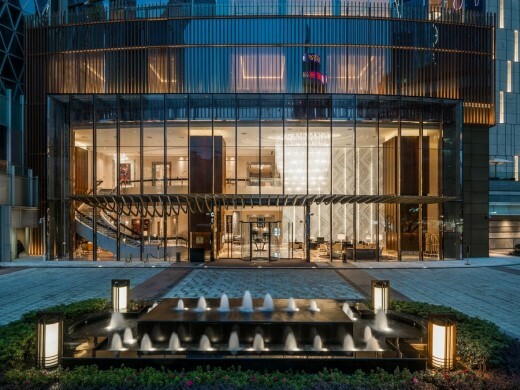 The ONE’s architectural form, space and materials drew inspirations from the natural terraced landscapes and pools of Jiuzaigou. 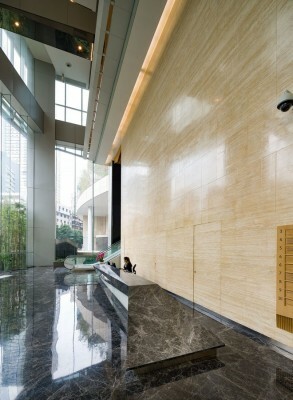 The earth-tone granites with random patterns and texture translate the rocky element of the natural terrain into the façade design. 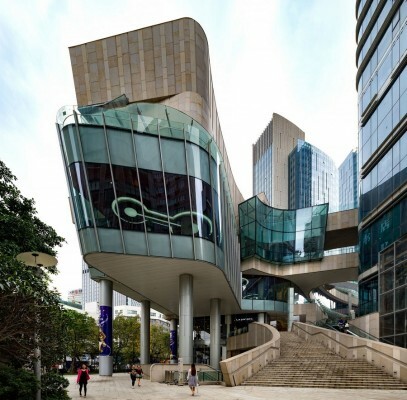 The architecture incorporates a series of staggering terraces at varying heights to the interior space, creating a fluid form and architectural space in alignment with the overall design of the development. 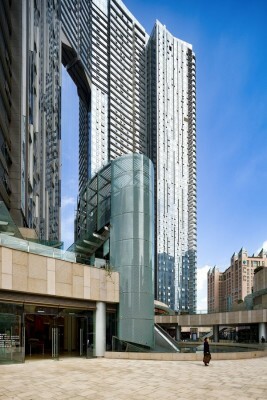 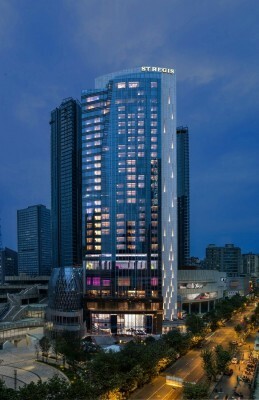 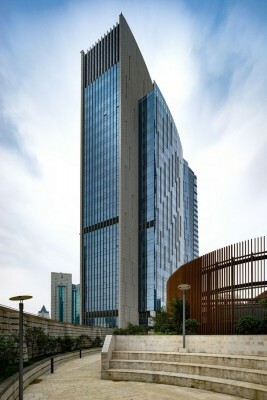 The St. Regis Chengdu, on the other hand, has an elegant façade design. 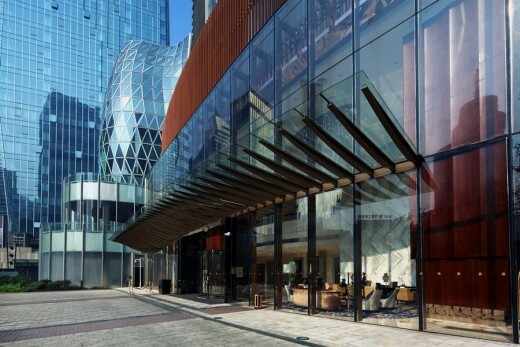 Warm colour toned materials such as Brazilian granite, timber-patterned architectural features and pearl white window mullions are used to echo the warm and welcoming hospitality of The St. Regis. 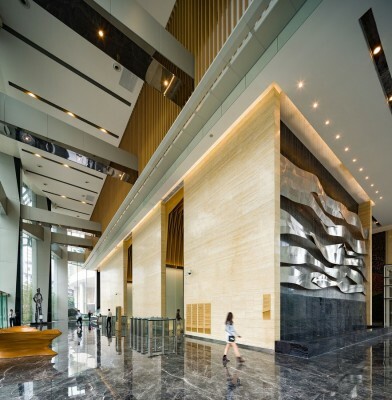 The curtain wall system uses glass and granite as two key materials – the unitised glass curtain wall expresses movement and verticality, while the granite cladding shows pride and firmness. 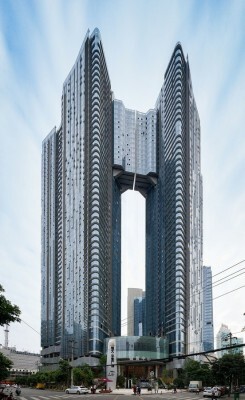 The combination of these two elements transforms the hotel tower into an architectural metaphor of mountain and waterfall. 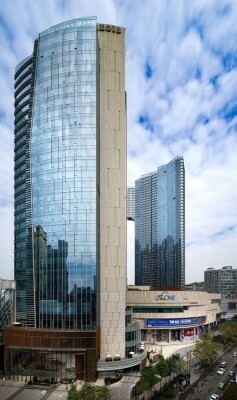 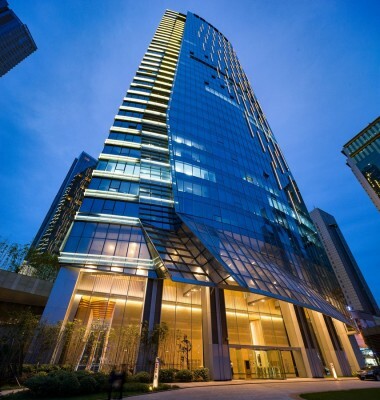 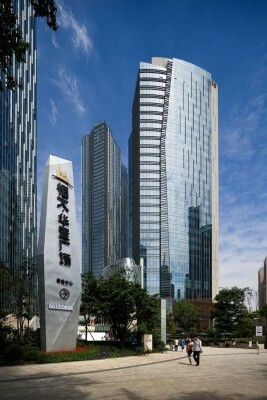 The 36-storey Evergrande Huazhi Office Tower offers super Grade A office spaces. 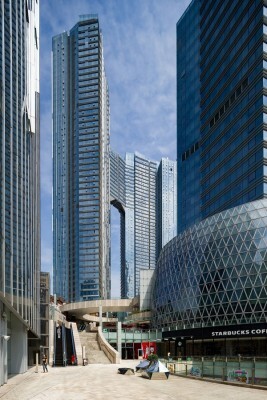 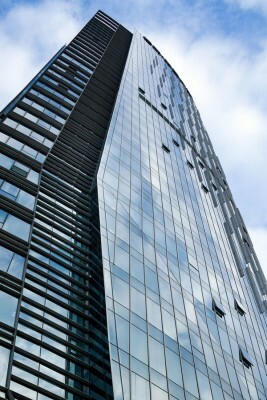 It adopts an unitised curtain wall. 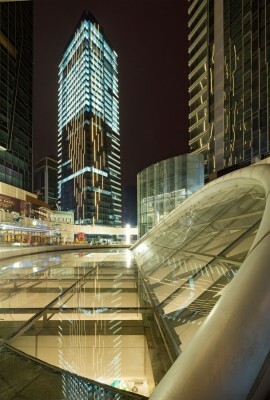 The glass façade spreads out at the bottom of the building to form an entrance canopy as a distinct feature of the building. 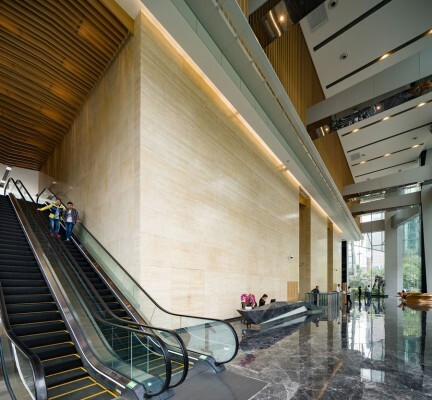 The grand entrance lobby is artfully articulated with sculptures, green wall and water features, echoing the verticality and faceted elements of the architecture. 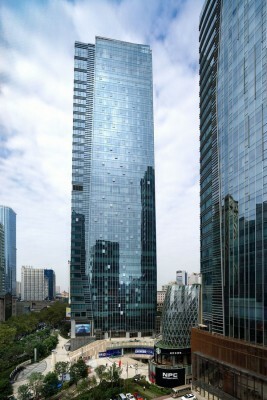 The hotel tower on the east and office tower on the west form a gateway to the development and drive people flow to The ONE. 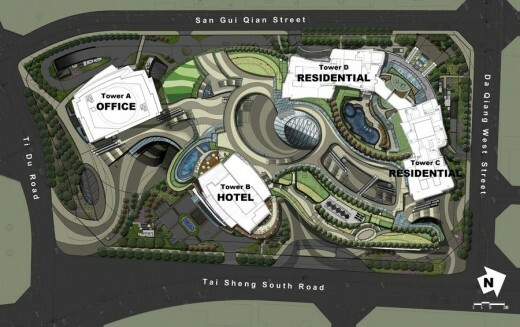 There is also a green spine with outdoor escalators and staircases to link up the landscaped terraces on different levels of The ONE and connect the entrance plazas in the north and south, drawing people from the ground level to the central piazza on Level 4. 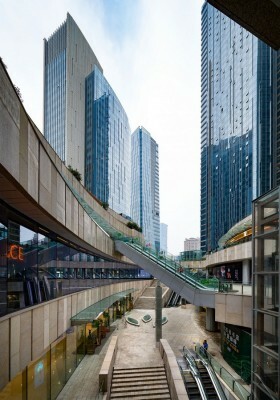 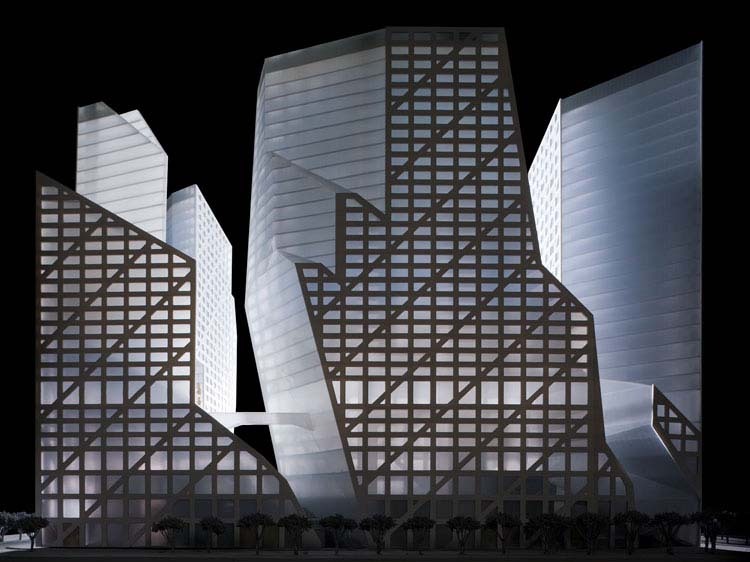 The spine also blurs the boundaries between indoor shopping mall and outdoor retail streets. 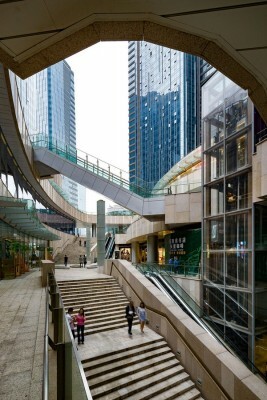 Such spatial design reflects the city’s indigenous, outdoor, leisurely lifestyle – providing outdoor terraces for al-fresco dining and pubs and creating an urban park for the community. 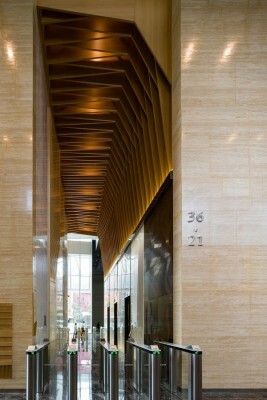 The nature-inspired design is a melodious combination of aesthetics and practicality. 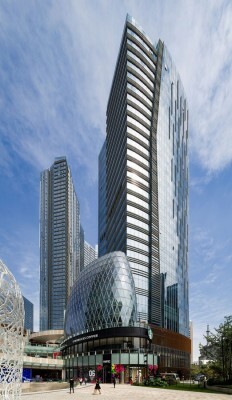 It unites all four programmes of the development and creates a unique mixed-use project of Chengdu.